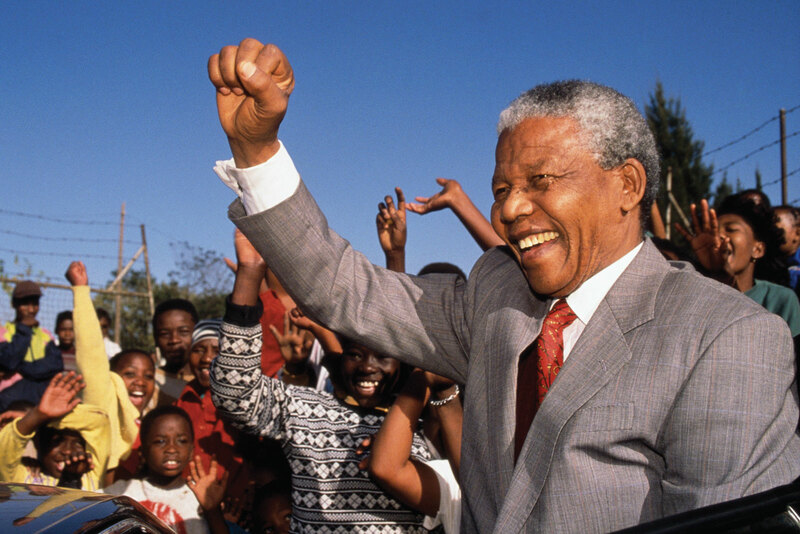 On December 5th, 2013 we lost Nelson Mandela one of the greatest men who changed the world. His legacy will remain forever as long as we don’t forget what he taught us. 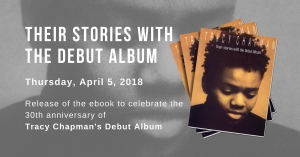 Since this blog is dedicated to Tracy Chapman we decided to recall him through the singer who often paid tributes to him. 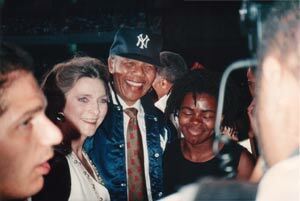 Nelson Mandela and Tracy Chapman met several times, both of them talked about each other with lots of respects and love. The Nelson Mandela 70th Birthday tribute concert, held at London Wembley Stadium in June 1988, was broadcast live to more than 600 million people in sixty-seven countries. It was hailed the international profile and respectability of ANC, increasing pressure on the apartheid government to release Mandela. The concert drew top performers and transformed the careers of emerging stars such a Tracy Chapman. Tracy Chapman walked out alone on to the sidestage at Wembley Stadium at 3.05 in the afternoon, performed three songs (Why?, Behind The Wall, Talkin’Bout A Revolution); later, at 5.41, after someone had made off with a computer element from Stevie Wonder’s synclavier, she was importuned to go out again and perform a further couple of songs (Fast Car and Across The Lines). By the time she had finished, the slow build that had been accompanying the release of her album at the beginning of April had turned into a torrent. 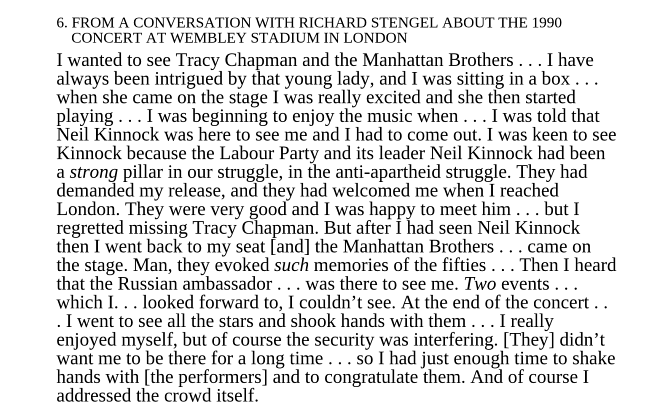 The Nelson Mandela Concert made Tracy Chapman a world star almost overnight. From 250,000 copies sold before the show, Tracy Chapman sold 2 millions records of ther Debut Album in the month that followed. The 2nd concert called “Free South Africa” also took place at Wembley Stadium, London on 16 April 1990, only 2 months after Nelson Mandela’s release from 27 years in jail and was broadcast to more than 60 countries.